When legal disputes disrupt your business or personal life, having a committed, knowledgeable civil law attorney to zealously advocate on your behalf brings comfort and peace of mind. Cases in litigation do not always reach trial; and, in our view as trial lawyers, most civil litigation matters should not go as far as a trial. 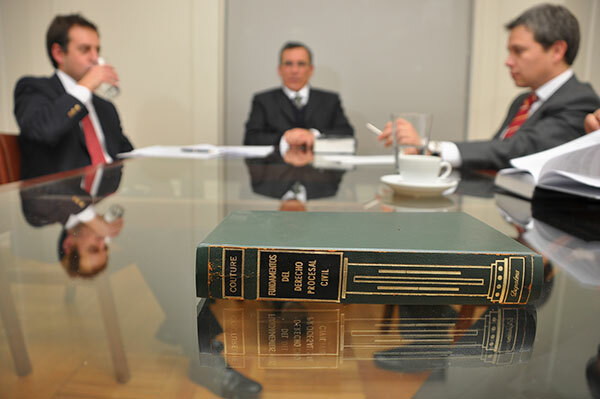 If litigation becomes necessary, Allen Bodiford will work to avoid expensive court procedures. When possible, attorneys of the firm resolve disputes through strategic compromise, negotiation, mediation or arbitration. The legal process follows many rules and procedures. Therefore, it is important to hire a lawyer who understands these laws and procedures. Hire a lawyer who is experienced and knowledgeable in the law as well as the practice of civil defense. It is important to find a lawyer who has conducted many hearings in court. Ask the lawyer how many active jobs he/she is working on currently. Even a good attorney will not be in a position to perform a great job if they are representing many other cases. It is advisable though, to consider hiring a lawyer who will be able to offer priority and maximum personal attention to your case. Find a lawyer who will not delay because time is of the essence. Legal actions need to be taken as soon as possible to improve the odds of winning the case. The sooner an individual gets a lawyer to work on the case; this will offer chances of better results whether you are completely innocent or guilty. Civil law is a wide therefore you need to choose a civil law lawyer who is dedicated to defending civil cases. In case you want to be represented on matters pertaining to family it is advisable to hire a lawyer who is dedicated to family law. On the other hand if you want to be represented in real estate cases you may need to hire the services of a real estate lawyer. It is important to choose an attorney you trust. Trust is required for you and your lawyer to communicate and to work well together. The lawyer should be one who can work hard and fearlessly to represent your interest. The lawyer should be one you can readily work well with considering the lawyer will be your champion. He/she will be your attorney and voice that speaks for you. Therefore, it is necessary to find an attorney you feel comfortable communicating with. This is because preparing a proper defense requires excellent lawyer-client relationship. The lawyer should understand your needs. We always have your best interest in mind. If protracted litigation is the only solution to achieve the proper outcome, we are ready. If settling your case early on will achieve the best result, we take the time to explain why we believe it is in your best interest to settle instead of engaging in lengthy litigation. Now serving the Conyers and Covington areas, Bodiford Law Group is committed to treating you like family and helping you obtain maximum compensation for your personal injury, medical needs, lost wages, property damage, and future surgical or rehabilitation needs. Allen Bodiford has the determination, tenacity and skill that are required to successfully litigate your case when litigation provides the best means of resolving your legal issues. Our professional courtroom demeanor and very careful preparation give us an edge as an assertive, strategic advocate.